Robert Seigworth directs energy technology programs at Lake-Sumter State College in Leesburg, Fla. Photo: Kelly Duke/LSSC. 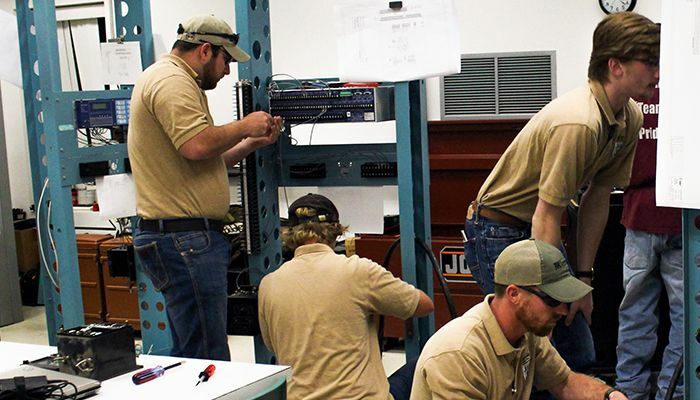 Students at Lake-Sumter State College in Leesburg, Florida, are training to become technicians for electrical substations. Photo: Kelly Duke/LSSC. Robert Seigworth works with students at Lake-Sumter State College in Leesburg, Florida. Photo:Kelly Duke/LSSC. Stephanie Sears had a stark choice: Stay in her job and never climb the ladder, or she could try something new. So one day, she walked through the doors of the Kentucky Career Center and enrolled in Raise the Floor, a program supported by Duke Energy that trains women for manufacturing jobs. 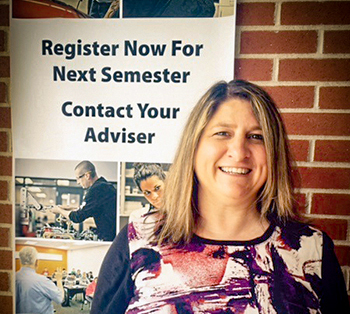 She earned one certification with straight As and has now moved into the Manufacturing Engineering Technology program. Her success story has launched her into the spotlight as she travels the U.S. representing Raise the Floor and its ability to turn lives around. But perhaps the biggest impact: the way it’s changed the dynamics in her household. Sears is a single parent with three children, one of whom needs full-time medical care. Duke Energy has emphasized workforce development and in the last two years has given $2.9 million toward preparing workers in the six states Duke Energy serves. The company wants a strong workforce that is trained and ready to meet the industry’s transformation and evolving customer expectations. In the next 10 years, almost 3.5 million manufacturing jobs will be needed, according to the National Association of Manufacturers, and 2 million are expected to go unfilled because workers aren’t trained. Manufacturing workers account for 9 percent of the workforce and earn on average $81,289 annually, including benefits. 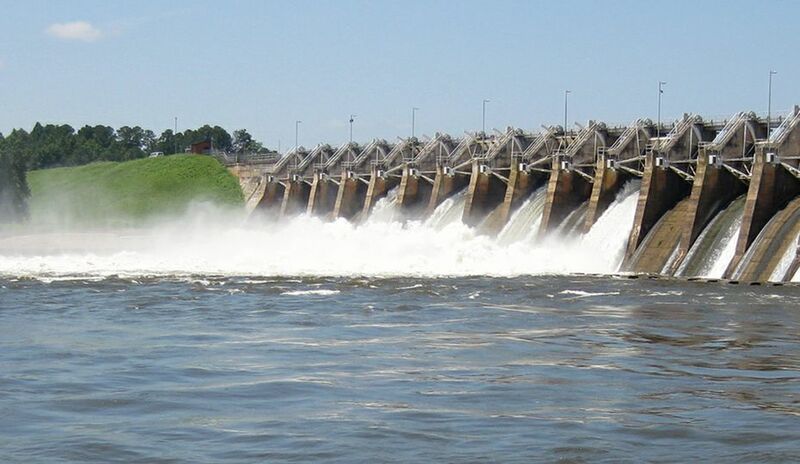 “We want to strengthen our community,” said Shawn Heath, vice president of the Duke Energy Foundation and community affairs. Plus, Heath said, it’s good business sense. 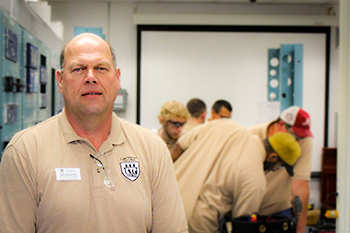 At Lake Sumter State College in Florida, Robert Seigworth is leading the charge. Seigworth loves just about every aspect of his job. 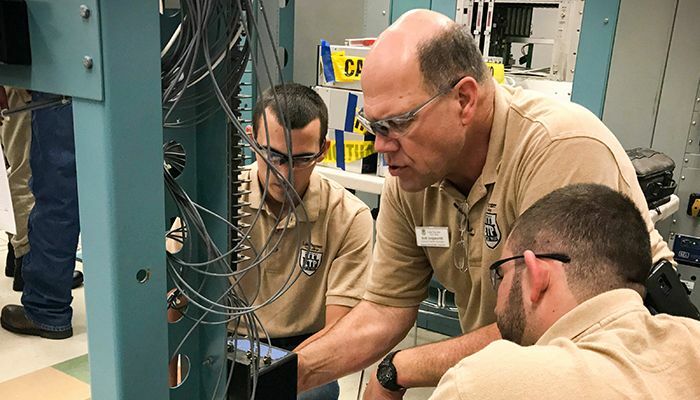 As the director of energy technology programs at the college, Seigworth oversees 30 students as they learn to become technicians for electrical substations. 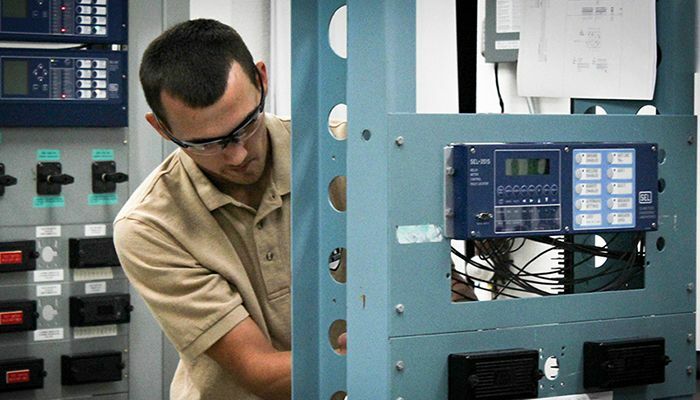 These techs perform such critical skills as installation, maintenance, testing and repairs. 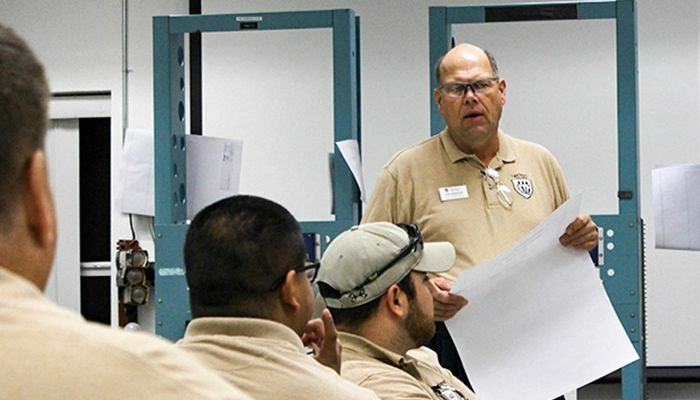 As the electric grid becomes more complex – and as more veterans of the company retire – the demand for these skills will only grow. Duke Energy has invested $85,000 for curriculum and program development – including a substation and relay training lab on campus – and $25,000 for scholarships. Seigworth was a principal architect. 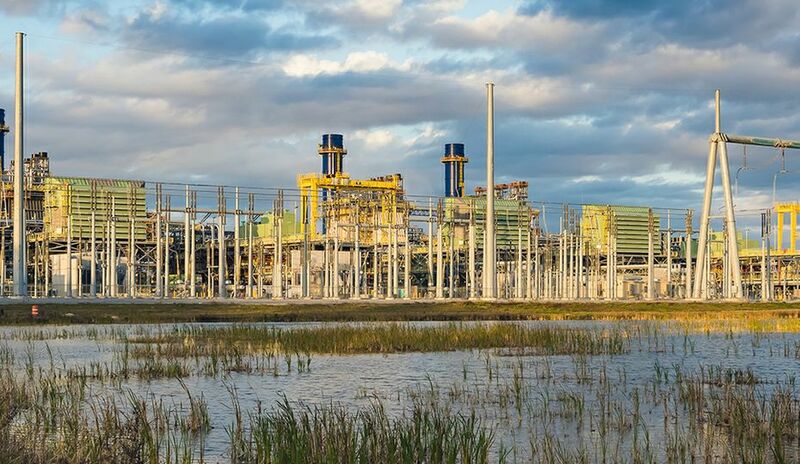 He had worked 37 years at Duke Energy and was to retire when the company approached him about starting the Lake Sumter program. In summer 2016, 12 of his 18 seniors did an internship, and six of those were with Duke Energy. Many of the students also voluntarily go through career development courses where they learn how to put a resume together and sharpen their interview skills. The first set of seniors graduates this spring. A crucial component of workforce development is recruiting more women and minorities. A major step was a $90,000 grant in 2016 to the Urban League, half to the Central Carolinas division, half to the Upstate South Carolina division. The money is going toward exam prep for construction and skills testing. Robert Seigworth of Lake Sumter State College in Fla.
Usually, Duke Energy has a partner. Over the years, it has funded efforts already underway at nonprofits and universities. Clemson University in South Carolina has been a benefactor, with a $4.1 million grant in 2013 for STEM and manufacturing programs. Rebecca Hartley, director of operations for Clemson’s Center for Workforce Development, said such initiatives will hopefully prevent mistakes made in the past. For many benefactors of such workforce development, these clean manufacturing jobs are a lifesaver. In the Greater Louisville, Ky., area, which includes southern Indiana, Where Opportunity Knox has created a job network for veterans (many from Fort Knox) and their spouses. Duke Energy has given $50,000 toward the program. By the end of 2017, Where Opportunity Knox hopes to connect 10,000 veterans/spouses. Success stories already abound. William Harp spent five years in the Army, including a deployment to Egypt. When he transitioned to the Army Reserves, he began looking for a job. 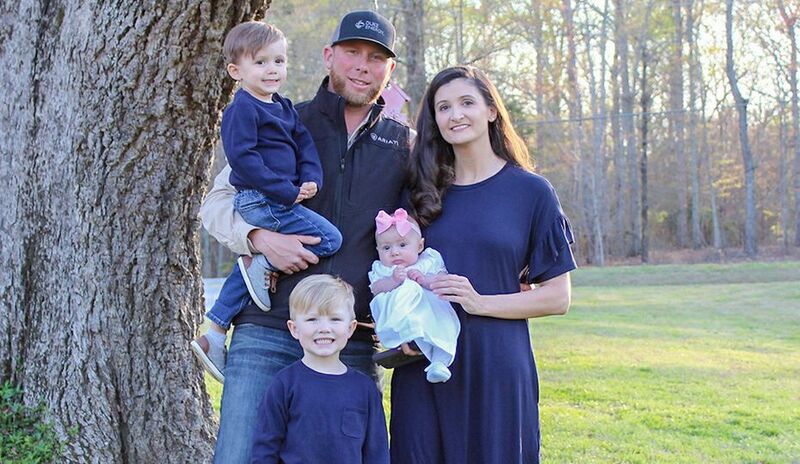 Within two months of working with Where Opportunity Knox, Harp snagged a supervisor position at Ford Motor Co.
Duke Energy has a number of efforts to help develop the workforce. The company is investing $8 million to $10 million per year in kindergarten-to-career programs. The gist: Solid Opportunities for Advancement and Retention (SOAR) removes barriers so ex-convicts and other underemployed people can find jobs. A second initiative: Accelerated Customer Service Education Program (ACE) provides customized call-center training. Duke Energy grant: $40,000 in 2015. Outcome: Some 500 people a year enroll in one of these programs, with graduation rates ranging from 80 to 90 percent and more than 75 percent securing jobs. The gist: Have women author a program to train and certify women for manufacturing jobs, as well as provide help finding transportation, child care and job placement services. Duke Energy grant: $10,000 in 2015 for scholarships for six high school girls to receive their manufacturing certification. Outcome: Of the 80 women who started the program in 2014, 38 have secured manufacturing jobs, 19 have other jobs and six have gone back to school full time. Of the six scholarship winners, four completed the certification course. Two of those then got manufacturing jobs and two went on to pursue an associate degree. The gist: East Carolina University in Greenville, N.C., now has an innovation lab that offers 3D design and prototyping geared toward challenges in the pharmaceutical industry. Duke Energy grant: $300,000 to fund the MakerBot Innovation Center, software and IT support, furniture, supplies. Outcome: ECU has provided 3D rapid prototyping and innovation short courses to more than 250 incumbent industry workers, university and K-12 students. The gist: Provide adults and high school students – especially women and minorities – with construction and skills trade (CAST) exam preparation and fiber optic certifications. Duke Energy grant: $45,000 (a matching grant was made at the same time to Urban League of Central Carolinas). Outcome: Of the 18 students who enrolled in the CAST/fiber optic class, 100 percent got their certifications. Five of those students had entered the class unemployed, and the certification helped them get jobs. 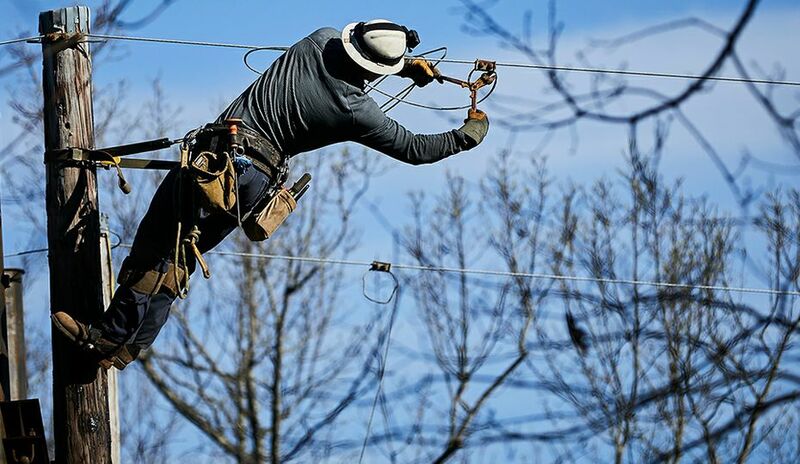 The gist: Use the knowledge and needs of Duke Energy to create a hands-on two-year program to train technicians for electrical substations. Duke Energy grant: $85,000 for program creation, $25,000 for scholarships. Outcome: First class of 18 seniors is to graduate in May. In summer 2016, 12 found internships – six of which were at Duke Energy. The gist: Connect 10,000 transitioning veterans and military spouses to a network where they can learn about jobs in the Greater Louisville community, which includes southern Indiana. Outcome: More than 5,000 veterans connected.